My Two Cents Worth (Before Inflation): The Worst Insurance Gap? In Monday’s post I talked about how many people have the wrong amount of life insurance – either too much or too little. Today I want to suggest that many people are woefully underinsured for disability benefits. There are two major differences between the risk of dying and the risk of becoming disabled. First, when you die (once your estate pays your funeral expenses, etc.) you have no ongoing costs. When you are disabled, your living expenses continue and may even increase. Second, life insurance pays in one lump sum, whereas disability insurance pays monthly benefits for the duration of your disability (often subject to a number of years or age limitation). Terms in bold are defined after the main post. Let’s start with those who have a group disability policy sponsored by their employer. Upon total and permanent disability such policies typically provide 50-60% of your pay once the elimination period is satisfied. If you get benefits from any other source, they offset your group disability policy benefits. For example, if you qualify for Social Security disability benefits, that amount is subtracted from the benefits paid from the group policy. Also, if you are injured and successfully sue someone, your group benefits may be adjusted to reflect payments you receive as a result of the suit. So where are the gaps? First gap – the elimination period. Usually long-term disability (LTD) policies require you to be disabled for six months. Many companies have short-term disability policies to cover the elimination period. However, other companies force you to rely on sick time and your vacation, which for most of us won’t come close to lasting six months. Unless you cover this gap, you may have your own “donut-hole” for disability. Second gap – Once you qualify for disability benefits your income declines by 40-50%, but your expenses do not decline nearly as much. Sure, while you’re on disability you’ll receive most of your benefits tax free, you no longer have Social Security taxes withheld and you can eliminate job-related expenses. Conversely, other expenses may increase because of your disability, such as co-pays for medical insurance. The net result is usually an overall decrease in expenses, but not enough to match the 40-50% decrease in income. Third gap – your benefit is frozen. If you qualify for Social Security benefits, they will increase over time to reflect changes in the CPI; but benefits from a group LTD policy are not adjusted for cost-of-living increases. If you earned $60,000 when you became disabled and the benefit is 60%, you’ll receive $36,000. If you are 35 when you became disabled, even at a modest inflation rate of 2% per year, thirty years later that $36,000 has a buying value in today’s dollars of less than $20,000. The result is you must life on income equivalent to only a third of what you were earning. 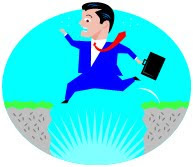 Fourth gap – Many policies reflect on the base pay portion of your compensation. If you receive overtime, shift differential, bonuses and sometimes commissions, they may not be included in the definition of compensation, in which case the 60% benefit is not of your total income, but 60% of part of your income. Fifth gap – The definition of total and permanent disability may exclude your situation. Many policies initially define total and permanent disability as the inability to physically or mentally perform the job you were in. Under many policies the definition tightens after two years, so to remain disabled you must be incapable of performing ANY job. Depending on the policy, your benefits might stop or decrease to reflect earnings differences between your old job and one you are now able to do. Sixth gap –Group LTD benefits usually stop at age 65. Social Security disability benefits continue, but unless you had enough squirreled away when you became disabled to support yourself after age 65 (and that seems unlikely), you’ll need to keep saving during your disability. How are you going to do that when your income has been substantially cut? These six gaps were based on the assumption you participated in an employer-provided LTD plan. If you’re not covered by a group LTD plan, Social Security may be your sole coverage unless you purchase private insurance. If you do have a group LTD policy, now would be a good time to find out what benefits you actually have. It’s too late to check the small print when you’ve already fallen off the ladder putting Santa on the roof next winter. You can find disability calculators on the internet to help you determine the size of your gap, but to use them you need a good idea of your expenses. Next up: Pros and Cons of a budget. CPI: Consumer Price Index – the catch-all name for a series of indices that attempt to measure the changing cost of a basket of consumer items. Elimination Period: The period of time between the onset of the disability and when benefits start. Policies have elimination periods for two reasons. Many employers provide different (sometimes greater, sometimes lesser) benefits for short-term disability. The elimination period prevents duplication. Also, most disabilities don’t last a long time, and using an elimination period substantially decreases the cost of the policy. Total and Permanent Disability: The disability policy will define this or some similar term. It is very important to understand what is covered. Some policies require you to be unable to perform the normal duties of ANY occupation in order to meet this definition. Quality Service – It shouldn’t be so hard.